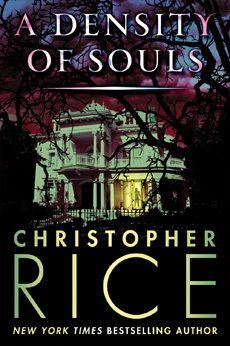 An instant and controversial bestseller upon its release, here is Christopher Rice’s debut novel in a brand new edition featuring an original and deeply personal afterword by the author. Praised by critics for its unforgettable imagery and lush atmosphere, A Density of Souls garnered the young author legions of fans and continues to inspire a devoted following years after its initial publication. In New Orleans, a city of incomparable beauty and complex history, four young friends enter one of the city’s finest high schools, only to find themselves torn apart by hidden passions and sudden tragedy. Five years later, when the friends are reunited against their will, what was thought to be a tragic accident is revealed to be a murder and the casual cruelties of high school develop into acts of terror which threaten an entire city. At once a breakneck thriller and a haunting coming of age tale, A Density of Souls features a cast of unforgettable characters set against a backdrop of unbridled sexuality and spectacular violence. Christopher Rice’s new afterword includes a discussion of deleted characters and scenes and the shocking twist ending that almost didn’t make it to print. It also provides an intimate glimpse into a publishing process that forever changed the life of this much talked about young author.